Home » Advocacy & Action » Too little, too late. 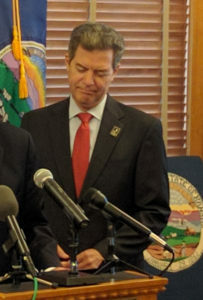 Kirk Schultz, formerly the President of Kansas State University, left the state due to Brownback’s policies. Sherwood Construction moved their headquarters to Tulsa thanks to Brownback. Thousands of jobs have been lost. Kansas is the worst state in the nation in job growth. I feel that Brownback is simply evil, and people like Kris Kobach and Arthur Laffer are also just purely evil. 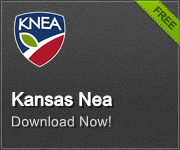 Kansans ought to stop electing or taking any advice from these people. I think the Koch-ALEC Governor wants voters to give him and his Koch-ALEC allies in the legislature another chance. He wants input he can cherry-pick to quote, and he wants to know how they can spin this mess to get votes in November. Don’t believe him. This Governor has not earned our trust. Not a chance. When you screw up this badly, repeatedly, you get fired. Period. It will take decades to fix the damage this cabal inflicted on Kansas. It’s time for a new crew to come in and start the hard work. If anyone thinks that this Governor cares they are sadly mistaken. This is purely a smoke screen to try to make Kansan’s think he cares. He will try to involve others in what he thinks is a solution. This is only his way to deflect blame. Well Governor, the people of Kansas aren’t stupid. Too bad there hasn’t been a recall. You and your supporters time is up.